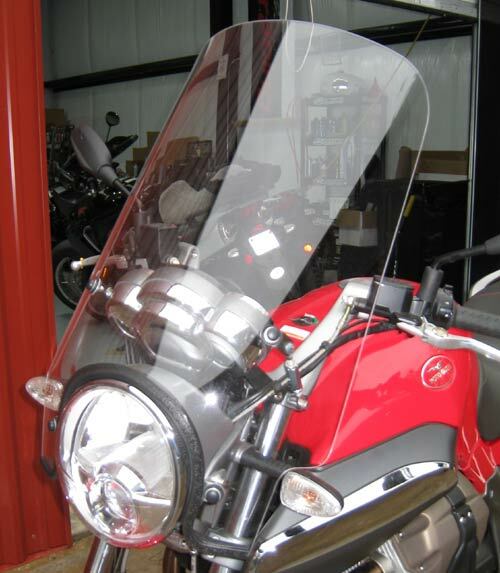 The Parabellum Sport Touring windshield for the Moto Guzzi V1100 Breva is made from 3/16 inch (5mm) thick military grade cast acrylic specified for optical clarity. 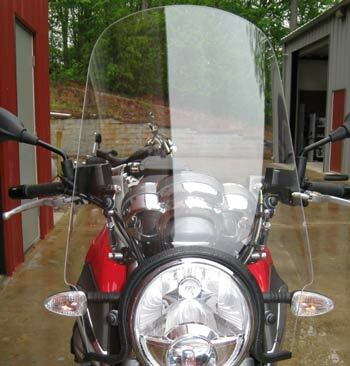 It is offered in 3 sizes to provide riders of various heights good protection and a quiet ride The windshield is 19.5 inches wide at the widest point and comes complete with hardware. It mounts to the top triple clamp pinch bolts and to the headlight bolts.